Tolstoy, Dostoyevsky and Chekhov continue the Millennium trilogy. When Stieg Larsson wrote the Millennium trilogy featuring bisexual super-hacker Lisbeth Salander and her friend, investigative journalist Mikael Blomkvist, he could have hardly predicted its success with readers. The series became such a phenomenon that fans could not reconcile themselves to the idea it had ended with the author’s death. In stepped Swedish journalist and author David Lagercrantz, whose sequel to the trilogy, called The Girl in the Spider’s Web, was released in the U.S. on Sept. 1. But what if one of the great Russian writers had been available to step into Stieg Larsson’s shoes? This is how we imagine they would have tackled the job. Mikael Blomkvist, racked by feelings of guilt and duty, ends his affair with his boss Erika Berger and returns to his wife, with whom he has a daughter. However, his world turns upside down when Mikael runs into an old acquaintance of his, Lisbeth Salander. That chance meeting reignites the long-forgotten feelings they had for each other. Mikael abandons his family once again and goes travelling with Lisbeth. Upon their return to Stockholm, the two discover that their friends have spurned them because of their liaison. Repenting and overcome by despair, Mikael throws himself under a train. Blomkvist is suffering because he is a bad and overrated journalist and because readers are idiots: all it takes to captivate them is to feed them a trite description of a moonlit Stockholm night. To prove his point, first he decides to stage a play starring Lisbeth, but then – for a greater impact – seduces Salander and then shoots her. Whereas all she ever wanted was to go for a walk on a moonlit night. Without warning another character in the novel shoots themselves because, generally speaking, there is a lot of shooting in this book. 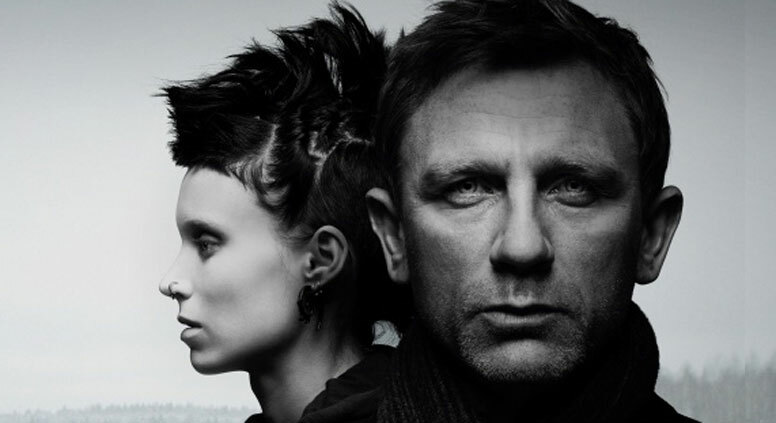 The impoverished Salander, who is forever short of money for new upgrades for her MacBook, is plotting to kill Mikael Blomkvist, who has recently started asking for interest on the money he lends her. Salander is tired of the poverty and injustice she sees in the world around her and decides to become the mistress of her own destiny. She hacks Blomkvist to death before descending into a turbulent period of self-torment that finally ends when she repents and confesses to the crime. Not necessarily as much of a page turner as the previous installment in the series! Mikael Blomkvist is a struggling but talented journalist working for a bombastic and overblown editor who is stifling his creativity. As they are strolling through Stockholm during a heatwave they encounter an odd foreign figure, who tells them the story of a murder from two millennia previously. Blomkvist becomes convinced that this odd figure is the devil and ends up being committed to an insane asylum, where he meets the mysterious Master, who has written a piece investigating this very same age-old crime. He was supported in this endeavor by the faithful Lisbeth Salander, but burnt his manuscript in a fit of despair. Meanwhile, Stockholm itself seems to be afflicted by insanity, as the foreign figure runs amuck with his talking cat and trusty helper, exposing the cynicism and bureaucracy at the heart of city life.